Warryn and Erica Campbell share secrets on raising kids and making their marriage work. 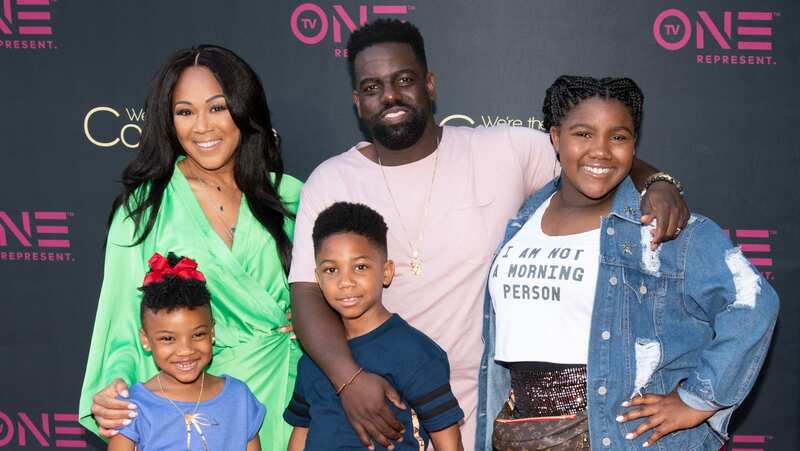 We’re The Campbells premiered on TVOne this week and we caught up with Warryn and Erica Campbell to find out all about their new family-focused reality show. The married music moguls share three children and will offer fans an inside look at how they keep their family train running smoothly while balancing hectic schedules with the needs of their kids and running their church. The series will also highlight the strong bond the couple shares and how they prioritize their relationship. space“>Although fans have been admiring their marriage for years, Warryn Campbell hopes people understand that things aren’t always as picture perfect as they seem. “Whenever I look at social media and see the comments, I hate to see people write #Goals. It gives me a little anxiety sometimes because I realize people don’t understand how much goes into making marriage work. I hope we don’t let them down because we’re not perfect and people go through a lot of different things,” he says. Don’t be friends.“Don’t try to be friends with your kids. Be the adult. I don’t mind if my kids don’t like me right now because they will respect me and they will thanks me later when it counts. When they grow up and they see that everything I have done or had them do when it comes to hard work or discipline. or these things they don’t want to do, they will look back and say thank you, dad. If you didn’t make me do that, I wouldn’t have done this. Don’t try to be your kids friends so much that you don’t raise them right,” says Warryn. We’re The Campbells airs Tuesdays at 8/7c on TV One.